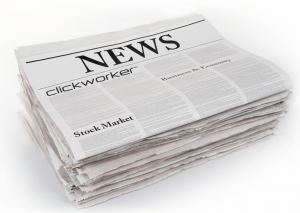 Welcome to clickworker’s PR department! To support you in your work as a journalist we are pleased to provide you with our press releases, company information, as well as visual aids. Do you need more information, or would you like to meet with us? Feel free to send us an e-mail or simply pick up the phone. We’ll be pleased to respond to your inquiries! Learn everything about clickworker and our team. We are pleased to provide you with photographs, logos and company information as a download. Follow our young and dynamic organization closely by reading our blog. What are our customers saying about us? Read it here!